Yakima County EMS agencies may find many commonly used forms, recertification information, course schedules and additional training opportunities here. In addition, under the “Agencies/Providers” navigation button you will find a menu for protocols and procedures, and more. 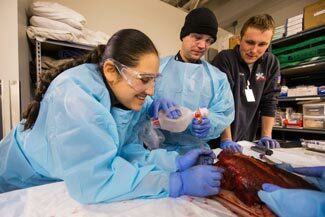 Yakima County Department of Emergency Medical Services offers an On-going Training and Evaluation Program (OTEP). This program has been approved by the Washington State Department of Health EMS & Trauma Prevention office and by the Yakima County Medical Program Director. The following is a list of class dates, times and locations. For information regarding attending an OTEP class in Yakima County contact the EMS office. NBS Provider Sign-up List (Please complete if you are signing up your administration or your entire agency along with the "NBS Contact Application Form", or just this form if signing up just yourself as a provider). The Yakima County Department of Emergency Medical Services will be offering the following classes for all current EMS Evaluators. Please plan on attending one of the above listed courses if you are currently a Washington State EMS Evaluator. To check your current Washington State EMS Evaluator, log into your SAW Account or search your status here. To register, email Diane at diane.koch@co.yakima.wa.us or call the office at 509-574-2158. Paramedic protocol exams must be scheduled by a supervisor. Paramedic protocol exams, which include a written exam and practical skills will only be conducted on Wednesday afternoons by appointment. 2 weeks advance notice is appreciated. Please contact Diane at (509) 574-2145 or diane.koch@co.yakima.wa.us to schedule an appointment. An email address and phone number of the candidate will be needed at the time the appointment is made. Personal Status Application Online - use to change your contact information (phone, email, address), add or change an agency and/or county.